Dr Elen Apthomas is the founding doctor of The Medical Sanctuary. Nearly a decade ago her vision was to create a multi-disciplined integrative medical practice which would provide a sanctuary for the health and wellbeing of families throughout Queensland and beyond. Dr ApThomas’ patient base extends both nationally and internationally. Dr Elen is a leading General Practitioner with over twenty years of private clinical experience practicing integrative nutritional medicine . She combines her wide-ranging back ground in conventional medicine with scientifically founded complementary approaches to meet the individual health needs of each patient. Dr Elen’s holistic treatment plans focus on correcting the many and varied causes of those imbalances which create disease in the body. Her knowledge and detailed approach has resulted in the successful treatment of many thousands of patients suffering from all variety of disease. 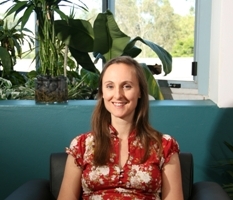 Dr ApThomas is a graduate of the University of Adelaide and holds a Bachelor of Medicine and a Bachelor of Surgery. Dr ApThomas has also obtained a Diploma of Obstetrics and Gynaecology (1994). She regularly provides surgical assistance to leading QLD Gynaecological and Obstetric surgeons. Her surgical assisting combined with the academic maintenance of her diploma of obstetrics and gynaecology keeps her informed and up to date with current research particularly in respect to all aspects of women’s health. Dr Elen regularly attends seminars and further education training which adds to her extensive knowledge and treatment experience in all aspects of health. She has a detailed knowledge of holistic health options for the natural treatment of hormonal imbalances and her acquired obstetric and gynaecological knowledge and clinical experience equips her to provide the very best pregnancy related care. Dr Elen is passionate about treating children and setting up good health and positive habits for life. She practices this on a daily basis as a consequence of raising her own three young daughters. Dr Elen treats all medical conditions but retains a special interest in managing irritable bowel syndrome, food intolerances, candida and creating personalising detoxification and fasting programs for patients if required. Her other interests include the wholistic treatment of diabetes, underactive thyroid problems, skin conditions such as acne, psoriasis and eczema, managing the metabolic imbalances that can make weight loss and gain difficult and all issues relating to women’s health. Dr Elen’s experience extends to public speaking on a wide range of medical topics on both the international and national stage. She has appeared on radio presentations and peer reviewed complementary medical text books. Dr ApThomas is the creator of the world’s first “Fermented Food Detoxification Program” called the FFDetox. She has authored an accompanying book on the topic of detoxifying through the use of fermented foods. She regularly conducts literature reviews for various multi-national medical companies and she understands how difficult it can be to find a happy balance between work commitments, family needs and trying to not lose your sense of humour or sanity in the middle of it all.